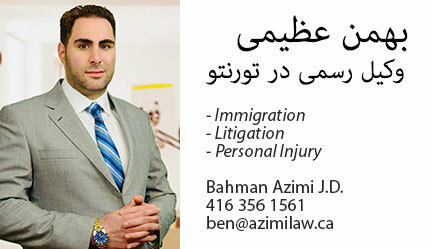 Azimi Law is a full service personal injury law firm based in North York, Ontario, serving the Greater Toronto Area. We are committed to providing quality, transparent, and client driven services, which has earned us a reputation of excellence in all areas of personal injury. On a regular basis, our firm receives referrals from non-government organizations, other lawyers, legal professionals, businesses, law firms, and community organizations.